I had a strange interaction with a coworker that I didn’t know how to respond to, and I’m wondering what your take on the situation would be. I’m in an hourly position as an intern. I work in a large office, but the group I’m working with is just three people and a manager. The manager is fairly casual in an otherwise formal office, particularly when it comes to work hours. For example, he came to my desk after lunch and told me to take the rest of the afternoon off (on the clock) on the Friday before the 4th of July weekend. A few weeks ago, I had family coming into town on a Friday, and I wanted to leave just five or 10 minutes early to beat the rush in the parking garage. I took a short lunch in order to make up the time. I was thrown off-guard and absolutely mortified, so I went back to my desk. I clocked out and powered down my computer (since I’m discouraged from working overtime, and I already took a shorter lunch break) and then I just sat there for the last 10 minutes of the day, because I didn’t know what else to do. We have completely independent tasks, so there’s no way she could have needed me to work on something in that last few minutes. Other than serving as a trainer in the first few weeks of my internship, she isn’t in a position of authority over me. Furthermore, based on my manager’s general attitude, I know he wouldn’t have had a problem with me leaving early, if he had been around — especially considering that I’m paid hourly, and it was only a matter of 10 minutes. I’m not taking it personally and I don’t hold it against her, but I also don’t think it would have been inappropriate for me to leave early, and I don’t want her to be left with the impression that I’m unprofessional. I’m sure she legitimately thought that I was trying cut out early and was trying to coach me on what was appropriate. In this case, I also don’t think I actually needed her permission to leave. The office does have 8 to 5 work hours, but it’s not unusual for other people (including her) to arrive a little late or leave a little early. It was just a courtesy that I stopped by to let her know. On the other hand, I am an intern. I’m still learning the ins and outs of professional behavior. Am I wrong? I’ve been turning the situation over in my head since it happened. In the future, I’ll explicitly ask my manager about leaving early. But how could I have responded to my coworker at the time? And should I bring it up with her now, to make sure she doesn’t have the wrong impression about me? I’ve gotten nothing but positive feedback from my manager about my work, but since it’s a small group, I know her feedback will hold some weight if I eventually want to be hired on full time. Yeah, the problem here is that you posed it as a question, which made her think that at a minimum you were looking for her input on whether leaving early would be appropriate/reasonable to do, and possibly were looking for permission. She may have been right that it would reflect badly on you to leave early that day, but given that it’s just 10 minutes, I think it’s more likely that she’s just a stickler for time, or she has a thing about thinking interns need to be held to stricter professional norms than everyone else. Or who knows, maybe she’d be fuming all week about people being too lax with their hours, or maybe she has legit concerns about what she’s seen of your hours or work ethic — I can’t know from here. But before saying that, you’d really want to be confident that your manager is truly okay with it. Letting you go early on the 4th of July doesn’t necessarily mean that he’d be okay with you leaving early on other days; leaving early on holidays generally is in a different category. (To be clear, if the nature of your work doesn’t require you to be there until 5 on the dot, it shouldn’t be a big deal to occasionally leave a few minutes early, but different offices have different norms on that. It can also read differently if you’re highly productive during the day and occasionally leave early versus if you come in late a lot and waste time during the day and then leave early too.) It’s also true that sometimes behavior that’s fine for more senior people isn’t really okay for interns. So this is something that I wouldn’t guess at — I’d ask your boss about it explicitly to find out. I bet the coworker just didn’t feel comfortable being the one to ask the question posed to her. If it turned out it was not in fact ok, and you’d been like “oh but Jane told me it was fine!” then that’s her on the hook for it, and if she’s not usually the one to make those decisions she could have just defaulted to the most conservative answer to cover her own behind. My thoughts as well. I know if I had a co-worker come to me and ask permission to leave early, I’d be very hesitant to say yes – simply because I don’t have that kind of authority. Agree, by making it a question, it made her feel responsible. That’s my guess. I thought that too–since it was posed as a question, she might not have felt that she had authority to let the LW go. This is exactly what I was thinking: if I didn’t know what the expectations were for an intern, I might be hesitant to say yes to something like this even if I know that regular employees are okay coming and going a little early from time to time. Of course, the coworker could have just asked if the intern had talked to her boss or whatever, but that might not have occurred to her if she was kind of taken aback at being asked in the first place. Yeah, I posted below but I agree with this. In general, if you haven’t been expressly told whether you have the authority to do something (like excuse employees to go home early), it’s better to err on the side of assuming you don’t have that authority. I probably would have done the same thing in the situation, and I’m definitely not a clock watcher or stickler for time or weird about higher standards for interns. Especially without the info that the OP already shortened her lunch break, because I would assume I was excusing her from 10 minutes of work – not a huge deal, but something I might not feel comfortable assuming I’m allowed to do. Yes, and it sounds like OP didn’t make it clear to her that is really was only 5-10 minutes, and that s/he had shortened her lunch break accordingly. If an intern asked me that at 4:30, I would assume that they were asking to leave pretty much now (so 20-30 minutes early, not 5-10) – and that’s not a call I would be comfortable making, not being their boss. Jane could also know that someone in the hierarchy is a stickler about watching for people trying to slip out early on Fridays and that it would look bad for OP to be seen leaving early on a day when his manager was out of the office. Also, as an intern, OP is probably hourly, whereas some of the other staff is salary. As such, standards about coming in early/leaving late aren’t necessarily the same for the intern as they are for salaried staff, as those same staff members who are leaving early one day are probably staying late another. I work in a semi-lax office, and our policy for hourly workers is pretty much “it’s fine as long as we know when to expect you and the total number of hours on the bottom line of your timesheet is truthful” – but I know that isn’t the case everywhere. Agreed. I would also have assumed that “a few minutes early” meant “now” in that context. Yeah, we’re not really sticklers about timekeeping here, but if one our interns asked one of our junior staff, “Is it OK if I leave early?” they’d probably feel caught off-guard unless their jobs were interdependent in some way. I’d hope they’d muster up a “Uh, I have no idea, did you ask Boss?” but who knows what they’d say. I can easily see someone wondering if the intern was trying to put them on the hook for something. Yeah, I’d like to think that back when I was a junior position, I’d manage “you’ll need to check with boss” instead of “that wouldn’t be appropriate,” but honestly if I was caught off-guard by the question I might fumble it. I actually had an intern ask me if he could leave early ( I was not his supervisor). I did not feel comfortable giving permission so I said “I don’t know. You need to ask Boss A or Boss B.” When he told me he was asking me because he couldn’t find them I told him that I did not have any authority over his hours and couldn’t answer either way. I think that it really was the fact that it was phrased as a question that lead to the response. It can be awkward to be placed in a position where you could be held accountable for someone else’s hours. I don’t agree with your suggested wording from co-worker. Secondly and more importantly, that’s the kind of nuanced answer that very easily gets lost in translation. >Maybe OP assumes that my opinion will match the boss (after all, I *am* more experienced) and ignores the second part of that statement. >Maybe OP does ask the boss, but in an unclear way “I’d like to leave early; I talked with Joseph who said it was fine” (wait, what? no I didn’t! opinion only!). So the boss is operating under incorrect information. >Maybe OP tries and fails to reach boss. So now my ‘opinion’ becomes the highest authority on the topic. And if my opinion didn’t match the boss’, I’m now on the hook. Agreed; all of the above is why I don’t really give other people’s staff my professional opinion on whether they can leave early. Eh, even then my response would be “That’s not a question I can answer” or “That’s really up to Bob, and since he’s not here I don’t think it’s a good idea.” What the co-worker did say (“No, I don’t think that’s appropriate”) is much more emphatic than would be called for in the situation you described. It’s possible that the coworker meant was “I don’t think it’s appropriate for me to give you permission,” not that she thought it was inappropriate for the OP to leave early. But if not, I agree that it was a bit much for her to say that she thought it was inappropes – that’s not really her call. It is worth noting that, as the coworker is a junior employee as well, they could have answered that way because they themselves don’t feel comfortable adjusting their working hours. So, you asked a question and got an answer. Yeah, I think this person probably just said “No” because she took it as a true question, and because she didn’t realize the OP had shortened her lunch break and would have to sit there doing nothing for the last 10 minutes of the day to avoid working overtime. I think this is a lesson in communicating all information and not assuming people know your situation, but not something to agonize over. If I weren’t the manager, to be honest, I’d probably be uncomfortable with telling interns or other employees that it’s okay to leave early if I weren’t sure that it was fine, and I don’t have a thing about interns adhering to higher standards or fume about when my coworkers clock in and out. It would be more a feeling that if I haven’t been expressly given the authority to let people go home early on days when they normally wouldn’t (versus, say, holidays when all salaried people are leaving early), it’s better to err on the side of not assuming that authority than assuming it. 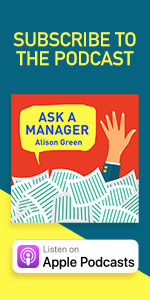 Alison’s point about checking with your manager is spot-on. My manager often tells interns and more junior people to leave early on a holiday weekend or a slow Friday, but he’s not going to do that on a random day. More senior people in my department can come and go as they please, but it’s with the understanding that they get their work done on time and aren’t abusing the flexibility privileges. I think what makes this harder is that she’s not really a co-worker if you’re an intern. When you’re an intern, everyone is basically your “boss” in a sense, even if they are not your manager. Everyone who you interact with from the administrative assistants to the CEO is someone you want to leave a good impression on so that at the end of your internship you end up with the desired goal – full time employment, a great recommendation, or even just feeling like you’ve had a good experience and got along well with everything. That means that the dynamic is really different than if you are just co-workers. It’s possible she was looking out for you and worried that someone would see you leaving early and it would reflect badly on you and also on her (sometimes optics matter – especially when you are interning and looking to make a good first impression). I agree with others it shouldn’t have been posed as a question. I’m sure what you meant to ask was “I’m leaving now, do you need anything before I go?” and that’s what you should ask next time you leave early. Always say what you mean, and ask for the exact information you want. Don’t say one thing and expect the person to somehow know you meant something different. And Allison is very right–this is a great place to start your personal training on the topic of asking what you REALLY mean. Hey, I took a shorter lunch so I could leave a few minutes early. I don’t think that’s appropriate. Then it’s a good thing it isn’t up to you to authorize me to work 10 minutes overtime. I feel like that response would be seen as too snarky though. Maybe something like, “Good to know. I don’t want to get into overtime so I will not do that in the future.” or something like that. Yeah, that would reflect very badly on any intern in my employ. And it doesn’t sound like the OP even mentioned the shorter lunch when she asked about leaving. Being a jerk because you get an answer you don’t like is not a good look on anyone. I agree with the responses below, but this made me chuckle today! OP- try not to overthink this. Going forward, just check with your boss when possible. In situations like this, when your boss is unavailable, as long as your job isn’t requiring coverage until a certain time, you should be fine taking a shorter lunch and leaving early (as long as you don’t abuse this). You have acknowledged that you should not have posed this as a question to your co-worker and Alison’s advice is spot on. The most confusing/troubling part of the question is that the LW “faked working” for 10 minutes to appease the co-worker. I understand that the LW expected approval and was really flustered by being told “no,” but the decision to appear to follow the answer of continuing work while she wasn’t is the oddest thing for me. Yes, LW didn’t leave the building but she wasn’t actually working and wasn’t able to assuming that pretty much all work is done on the computer. So the correct response would have been to respond with “Oh, I know I phrased it as a question, but I took a short lunch so I’ve completed my hours for the day and can’t work any longer today.” Again I understand being flustered, but the solution to pretend to follow the co-worker’s response is the worst way to handle it. While that’s definitely an awkward way to handle it, she did say she clocked out, so she wasn’t getting paid to fake work. Well, sure, but she is an intern and she does not have the experience to know how to handle this sort of thing. Next time, she will do better. No, the worst way possible would have been to tell the co-worker “You’re not the boss of me” and leave. I totally agree that the OP should clarify this with her manager, but I wouldn’t proactively bring it up to the coworker; I’d wait until the scenario happens again (assuming the boss approves flexing your time like this). I also notice that when OP phrased her request to to the coworker, she didn’t mention that she had already flexed her lunch to make up the time. I can see how the coworker might have thought OP was trying to short her hours while the boss wasn’t looking. That’s how I’d have heard it. An intern, there to learn workplace norms, asks me if she can duck out early? “That’s not appropriate” seems a reasonable response to me. I get that the OP meant “I’ve shifted my schedule with the intention of finishing my work earlier than usual,” but as reported, the question sounds like it’s about ducking out earlier, and I think that’s why the co-worker answered as she did. Yes. Especially since, as others have noted, the intern is apt to say “oh, it’s fine, I got permission from Revelentia” if it turns out not to have been okay, and now the co-worker is in trouble. I agree with all of this. I wouldn’t proactively bring it up to my coworker, nor do I blame the coworker for saying no based upon the information the intern has provided. OP you’ve gotten a lot of good feedback from AAM and others here. I’m going to nit-pick about one thing. You wrote, “…a woman who is only a few years older than me.” This doesn’t really matter to your question to her or her authority. Please be careful going forward in your professional life. You will have supervisors that are your age or perhaps younger. It’s immaterial to their place in the hierarchy of the workplace. That stuck out to me, too. If she’s more senior to you it doesn’t matter if she’s 19 or 90. That is a good point. I think I meant it as an acknowledgement that she is also in a position where she’s still learning workplace behavior. I wasn’t really trying to question or lessen her authority, but rather making an effort not to judge her for her response (if her response was seen as “over the top”). I completely agree with the first chain of comments that she was probably caught off guard at being asked the question (I hadn’t even thought of that) and her own relative lack of experience may have contributed to her reaction. Good catch. Deciding others do or don’t have authority because of their age is not a path leading anywhere good. Agree with everyone that asking rather than telling, and not following up on the misunderstanding, was a slight error– and that your coworker was probably not authorized to let you go and didn’t want to be on the hook for it. This was awkward on both your parts but no big deal. OK, that’s good to know. I listed it as what I saw as the most extreme example of generally not being strict about time. Now, from a lot of the comments, I know that the holiday was a different situation and can’t be used as an example. For other examples: He doesn’t really monitor when I arrive, when I leave, when I go to lunch, or how long I’m at lunch — I’m sure he looks at my time cards, but he’s not checking up on me in person. He’s made general comments in the past about not minding if I don’t adhere closely to certain “rules,” particularly when we go out to lunch as a group and it runs more than an hour. And, I can’t quite put words to it, but it’s just his general attitude about the work place to not be that concerned about those kinds of things (which I think makes him a good manager). All of the comments about what she was probably thinking also make sense to me– I hadn’t considered that I put her in an awkward position as well. It sounds like you got everything straightened out and know how to handle things moving forward, so I’d say your conscience should be clear now! I think a few of the comments here make this into much more of an issue than it actually is. IMO this is the kind of thing internships are supposed to teach. This is really, really common for bosses to do this – it’s seen as a holiday gift to interns or employees. It doesn’t mean that the boss is lax about staying until 5 the rest of the time. Honestly…I don’t think what you did was ok. First, you are an intern and so you cannot assume employee flexibility applies to you unless you’ve been told this. Second, your boss came to you to let you leave early – allowing you to manage your time is another thing entirely. Third, on a day your boss was out, you decided to short your break on your own so you could leave early. It would make me wonder if you were trying to be deceitful because this happened when the boss wasn’t there. Now I am sure that’s not what was happening at all, but if I was the coworker I might wonder about it and worry that I’d be in trouble later for saying it was ok.
Part of working is looking ahead and trying to manage your schedule. If you know your family is coming and want to leave early, this is something you would want to talk to your boss about beforehand in a LOT of industries and companies. Not everyone is free to manage their time in the way you are seeing, and those that are may have worked it out separately. It seems strange to me that you wouldn’t have mentioned it to your boss before, but hey – maybe you didn’t think of it until that day. Still, in that case it would have been preferable to email the boss. I’m sure that the coworker doesn’t think anything negative about the interaction since you are doing well aside from that…but yeah, I don’t think this was handled correctly. But of course, your mileage my vary. I hope this didn’t come across harshly – I think you are amazing for coming and asking about this! So impressed that you are trying to look at it from all angles. Not at all, you make some good points. I was making an assumption about flexibility, based on his generally casual workplace attitude (I don’t know what to call it) and my interaction/understanding of him. I have since confirmed that understanding, but I realize I was wrong to not check with him before. My manager was gone for the entire week, and I didn’t know that the particular family members were visiting until the weekend before. However, it would be very strange to me if she thought I was actively being deceitful and trying to leave early specifically because the boss wasn’t there. That’s something that really surprised me in the comments, because to me it was just a coincidence that he was out of town–his job involves a lot of travelling, so it’s not uncommon for him to be gone here and there. (I’ve had quite a bit of autonomy in the actual work for my internship as a result.) Also, I have been working here since the beginning of the summer, so I would hope that she has enough experience with me to not jump to the worst conclusion. It was a coincidence in your situation, but a lot of people take advantage of the boss not being in the office to work from home or arrive/leave early when they otherwise can’t – or even to leave an hour early when usually they’d leave only 10 minutes early. It’s sort of a “when the cat’s away, the mice will play” type of situation. Right and I’m sure that she wouldn’t, as you’ve said you are in good standing at your workplace. She was probably just surprised and figured it was an intern thing. Honestly I was sooo clueless when I first started out. I don’t think you’ve done anything wrong, just not everything right. But who does when they are learning? I sure didn’t. It’s not really about jumping to the worst conclusion. It’s about your behavior not matching workplace norms, and wanting to protect herself. This is the first letter I’ve read where I went oh wow am I the coworker in question (coworker but not supervisor)?! That could be awkward! I always wonder about that on here–what if the other people in the story read the blog and recognize the details? Taking a shorter lunch already assumed a whole lot. That’s not okay legally in many places. You shouldn’t expect that to fly without real permission instead of assumed. Erm, in the US as long as she took 30 minutes, she’s all right. Cutting your lunch by ten minutes so you can leave ten minutes early isn’t a tragedy and I’ve never worked anywhere that would be monitoring time that closely. I take that back. I have worked somewhere that monitored time that closely and they sucked. It can if she’s paid hourly. 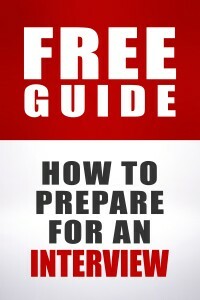 Since the changes that require many interns to be paid time needs to be carefully tracked. It’s not a matter of the boss trying to micromanage time, but trying to stay out of trouble with the Feds. If I sign a time sheet that isn’t truthful I can be fined. I have to formally tell many of my staff not to work off hours. If she shorted lunch time and then, even though she turned off the computer, was on wait time she was technically on the clock. Many companies also have policies that state employees cannot short lunch times to come in late or leave early. A manager needs to approve it or it turns out there’s no one present at the end of the day. Sorry, beginning should read It can be problematic if…. OP–I am glad you got things sorted out. However, many organizations are not flexible like this, especially for an employee as opposed to an intern, and also if you are in a non-exempt position in the future. Adhering to work hours now unless there is a real emergency is good practice for your next “real job” even if you have been offered some flexibility. Behave as though you are the most essential employee they have and it will serve you well. I’d say that’s going too far, actually- if the employer is flexible, you’re denying yourself one of the benefits of the job out of paranoia that you would look bad. 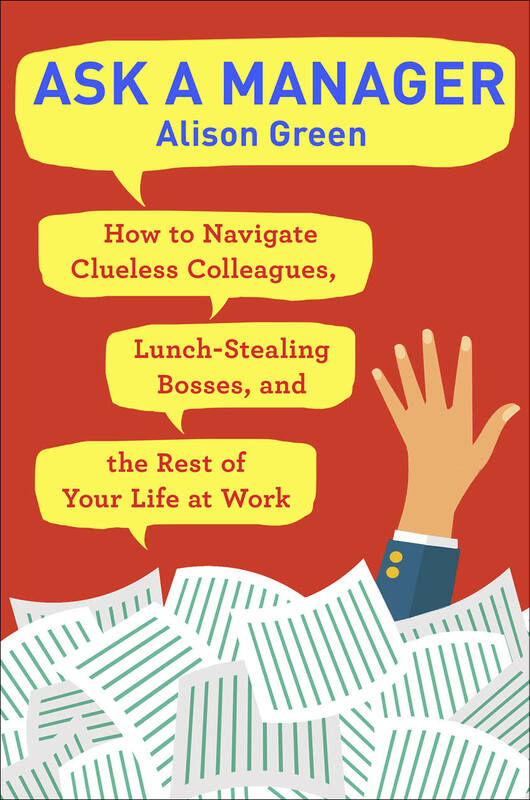 Check with your boss if it’s OK, but don’t assume your boss is strict about it. ( incidentally, I’ve noticed a lot of bosses that are strict about not leaving until the scheduled end of your shift also tell you off for clock-watching- that is, making sure you leave exactly on time. Frankly, that always seemed a bit off to me- you have to be flexible about working slightly overtime, but if you work bang on time, you get in trouble? Did you stop to wonder why there is a rush in the parking garage at 5:00? It’s quite possibly because the company itself is a stickler for time and expects all employees to stay until the quitting time.